Square Enix has released the opening movie for World of Final Fantasy Meli-Melo, an upcoming smartphone game based on 2016’s World of Final Fantasy. 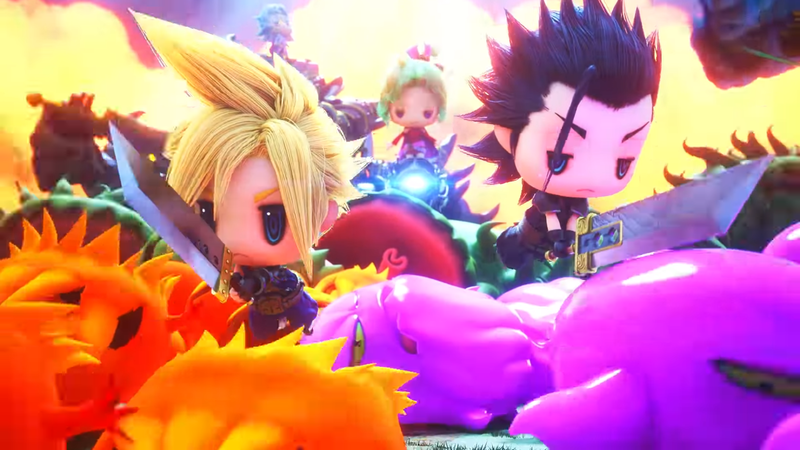 The game combines colorful chibi-style monsters and characters from the Final Fantasy, as you can see in the trailer below. In the reveal, Square Enix shared the game would be set in the world of Valgaran, and you’ll do battle by stacking up to six monsters on top of each other. The game will employ a free-to-play model and will have microtransactions. Pre-registration has begun for iOS and Android devices in Japan, you can find more here. Posted in World of Final Fantasy and tagged opening movie, Square Enix Visual Works, trailer, World of Final Fantasy Meli-Melo.